If you've never tried orzo, you don't know what you're missing. Orzo is wonderful. Eric has fought eating it for a long time but he has finally conceded that he does like it. He thinks it's a type of rice which is just as well. It can be cooked in the same way that rice can, but it is, in fact, a form of pasta. 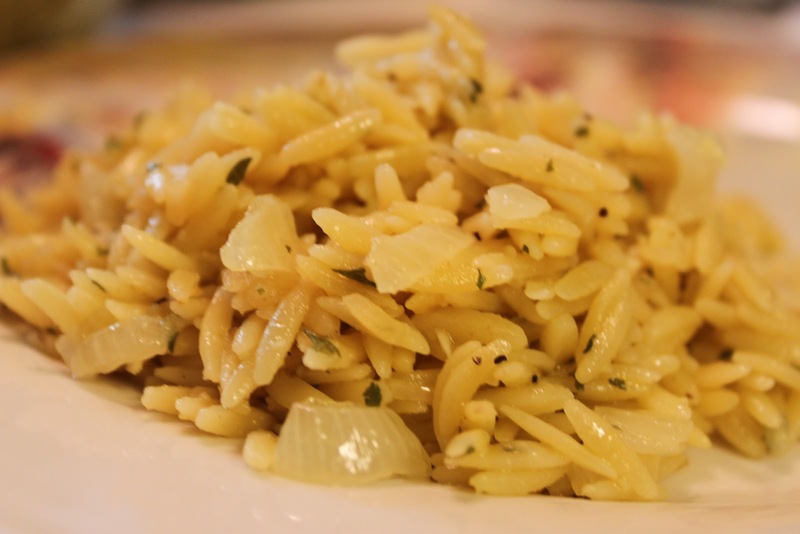 This is an excellent recipe to use if you're giving orzo a try for the first time. It's easy and delicious. 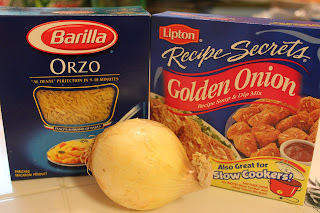 There are different brands of orzo and some of the pasta is shaped differently. This brand was a longer, thinner orzo.One box of orzo contains 16 oz., so you'll only need to use half the box. Cook the pasta in salted boiling water as directed on box and drain. 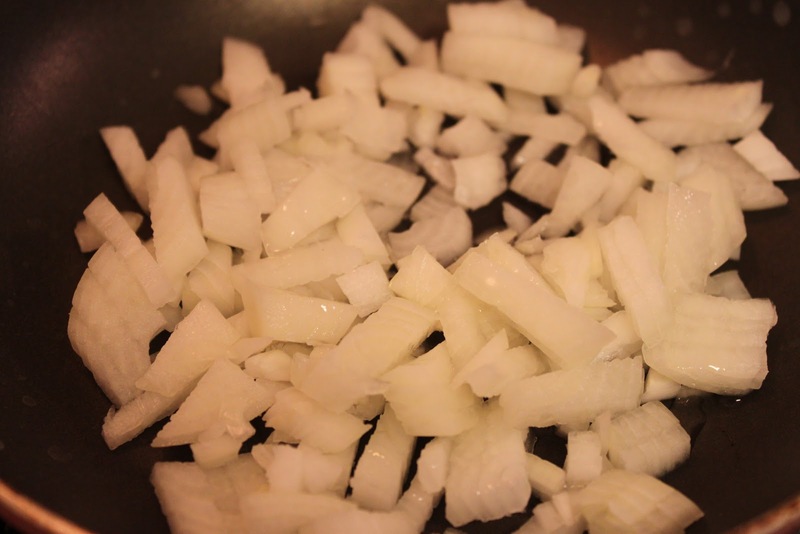 While pasta is cooking, saute the onions in one tsp. of olive oil until the onions are soft but not browned. In a large bowl, mix together the softened margarine with the golden onion soup mix. 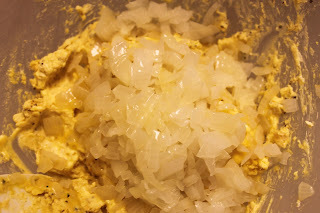 Add pepper, garlic powder and softened onions. Pour the warm, drained orzo over the soup mixture and add the dried parsley. The warmth of the orzo will melt the margarine. Stir the mixture very well and place in a greased casserole dish. Place the casserole in a preheated 350 degree oven for about 20 minutes until warmed through. I followed your recipe and made Golden Onion Orzo for a get-together yesterday. 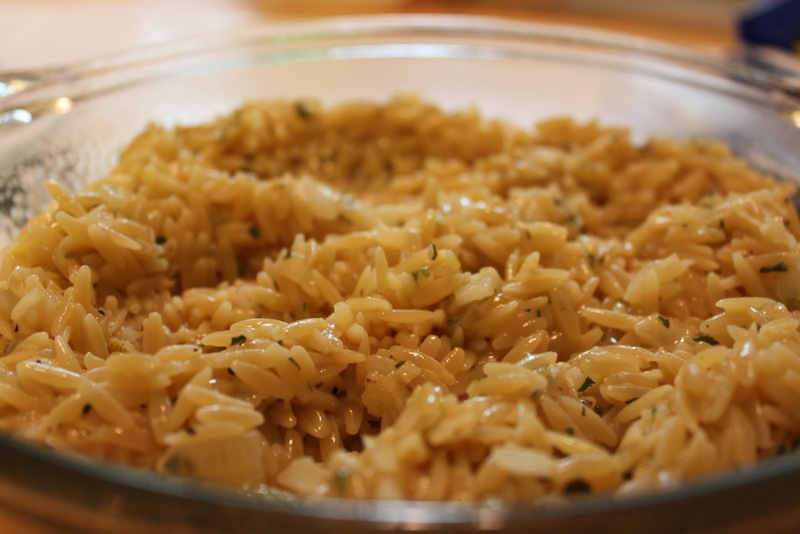 I had folks, who had never tried orzo, asking what it was and saying it was delicious. I'm glad you enjoyed it. It's one of my favorite dishes.